Since 1997 Pastor Heykes has participated in three study visits with Lutheran World Relief: to India, East Africa, and Nicaragua. After each trip Pastor Heykes shared his expereiences through a variety of media. He has published a dozen articles and photo essays in the East Central Synod Supplement to The Lutheran magazine. He has also made hundreds of personal presentations to congregations, women's groups and other organizations. Since 1997 over 10,000 people have heard him speak about LWR and thousands more have read his articles. The links on the right will connect you to his articles and photo essays. Feel free to use them for the exclusive purposes of promoting the ministry of LWR and related ministries like the ELCA Hunger Appeal or Stand with Africa. If you reproduce any articles or photos please credit them to "The Rev. Paul F. Heykes" All photos and articles are copyrighted by Pastor Heykes unless otherwise noted in the by-lines or photo credits. India - February 1997 - Site Visits & LWR Partners. Calcutta: Lutheran World Federation Health Projects & Schools, Mother Theresa's Home for the Dying; Rural West Bengal: Lutheran World Service Agriculture Projects and Clinics; Wanaparti: Women's Empowerment Groups; Latur: Earthquake relief; Jahmked: Comprehensive Rural Health Project, community development. New Delhi: Medical & Health ministries; Agra: The Taj Mahal. 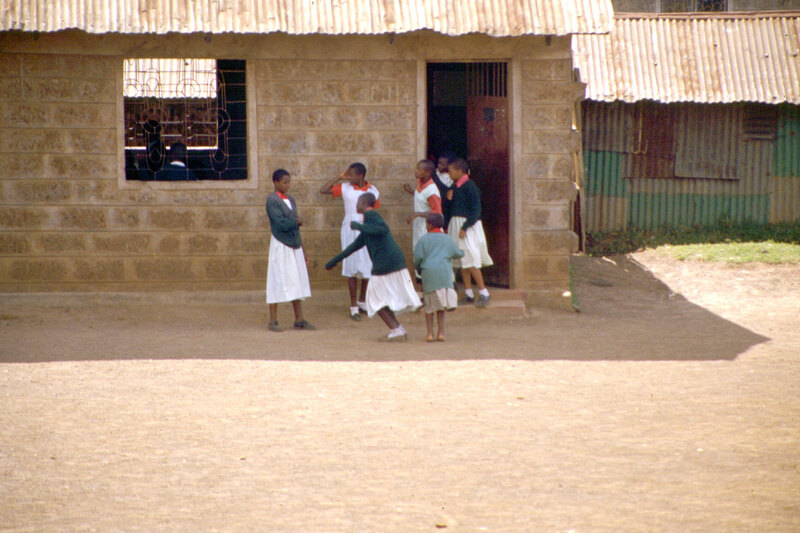 East Africa - February 2001 - Site Visits & LWR Partners. Nairobi, Kenya: LWR's East Africa HQ, Orphanages, Schools, AIDs Ministries, Community Development Projects in the Slums, SWAN (Sudanese refugee women). Arusha, Tanzania: Fish Farming, Biogas projects, Evangelical Lutheran Church in Tanzania. Moshi, Tanzania: Kilimanjaro Coffee Cooperative, biogas projects, water projects, (also visited my seminary roomate the Rev. Aaron Urio); Nakuru, Kenya: Farming Systems of Kenya agricultural projects. Amboseli & Nakuru, Kenya: National Parks & wildlife. Nicaragua - January 2004 - Site Visits & LWR Partners. Managua: Augsburg College House of Studies, Lutheran Church of Nicaragua, local history; Terrabona: Hurricane relief, CIEETS agricultural projects and community development. Matagalpa: Solecafe coffee cooperative, general offices and processing plant. Yaskia Sur: Coffee farm visits, local cooperative projects, water projects, itinerant coffee worker village. 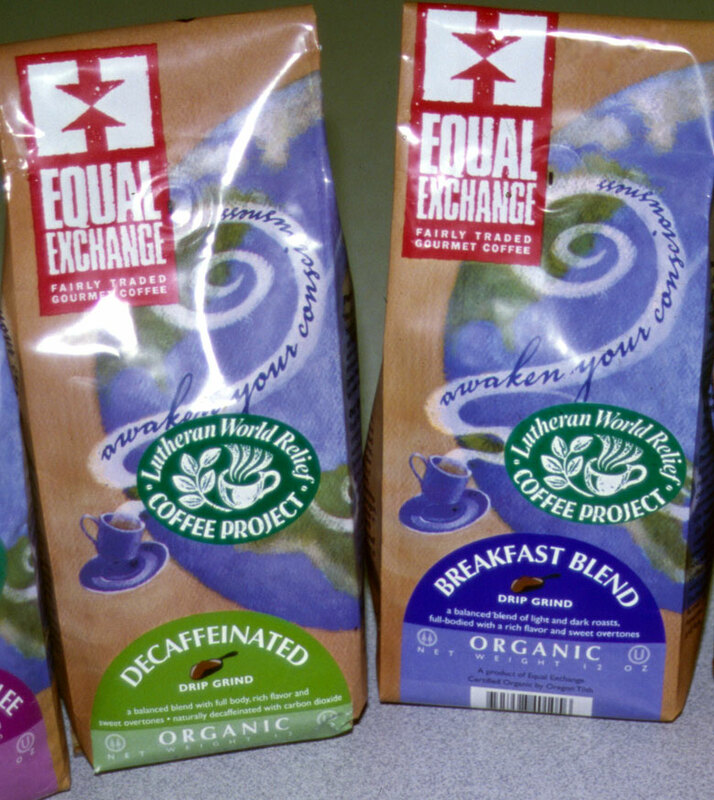 In the late 1990's Lutheran World Relief partnered with Equal Exchange to launch the LWR Coffee Project. Since then, thousands of ELCA congregations like St. John's of Morgan have banded together to purchase hundreds of tons of fairly traded coffee, tea and chocolate. Fairly traded products ensure that the small scale, family famers in developing nations who grow them receive a fair price and an adequate profit for their labor and product. Receiving a decent price means food to eat, education for their children, health care for the family, and the opportunity to expand their farms. For us it is a simple way to serve up a cup of justice every time we enjoy our coffee, tea and chocolate. 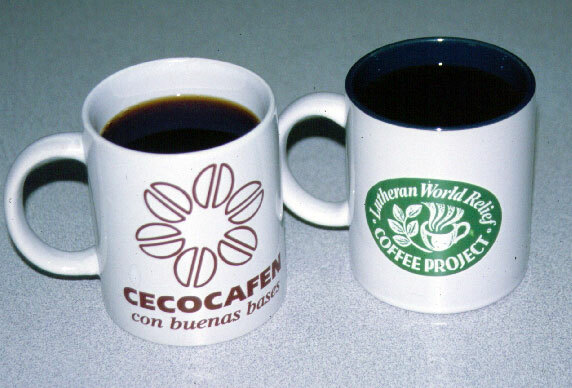 Learn more about fair trade or purchase fairly traded products -- click on the surrounding images to visit LWR, Transfair, Equal Exchange, and to download Pastor Heykes' Coffee Project Power Point (coming soon). Click on the LWR Logo to Visit their web site. . .